Christmas Morning...wool bundle...8 pieces measuring approximately 4 x 6 inches. 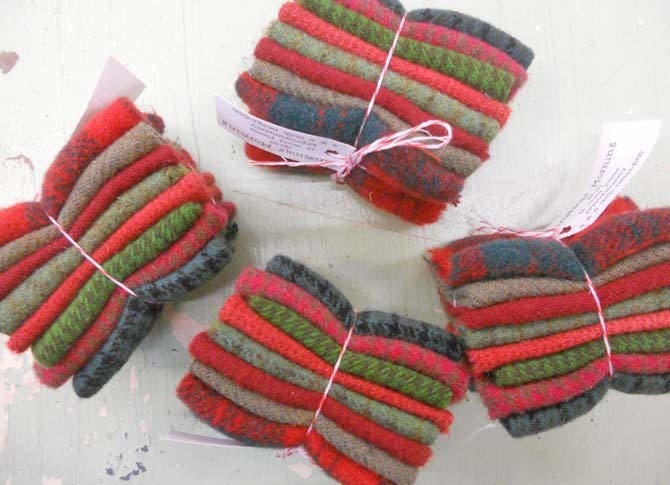 This bundle of delicious wool includes 4 different red and 4 different green colored wools. Shades include grass, pin, holly, berry, garnet, and rouge. Perfect for wool projects, purse embellishment, or applique! This listing is for 1 Christmas Morning wool bundle.